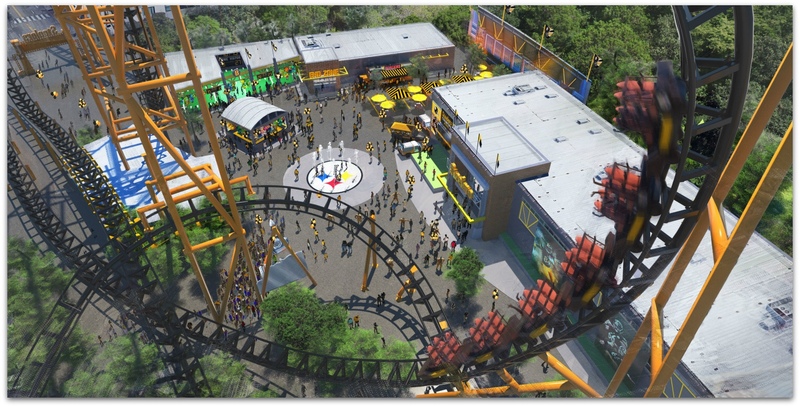 Kennywood Park in Pennsylvania is bringing an all new land to life, revolving around one of the staples from their part of the world, The Pittsburgh Steelers. 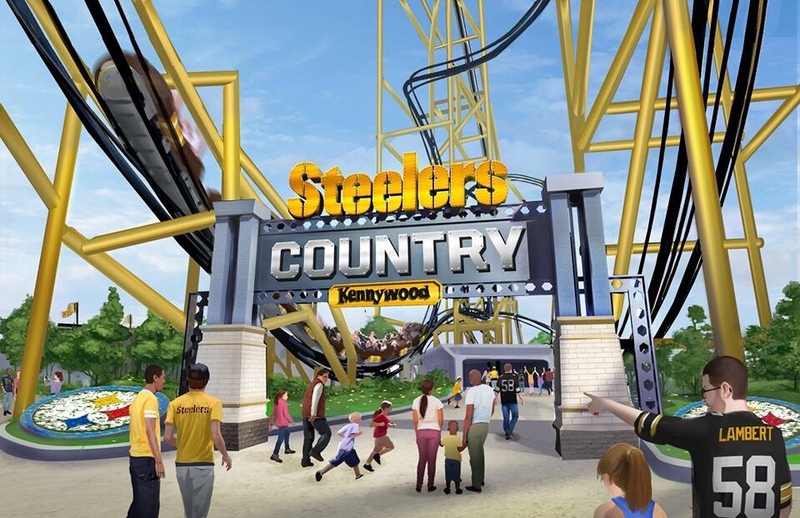 In 2019, Kennywood will open the gates to Steelers Country, an all new land that will serve as part shrine, and part theme park experience. 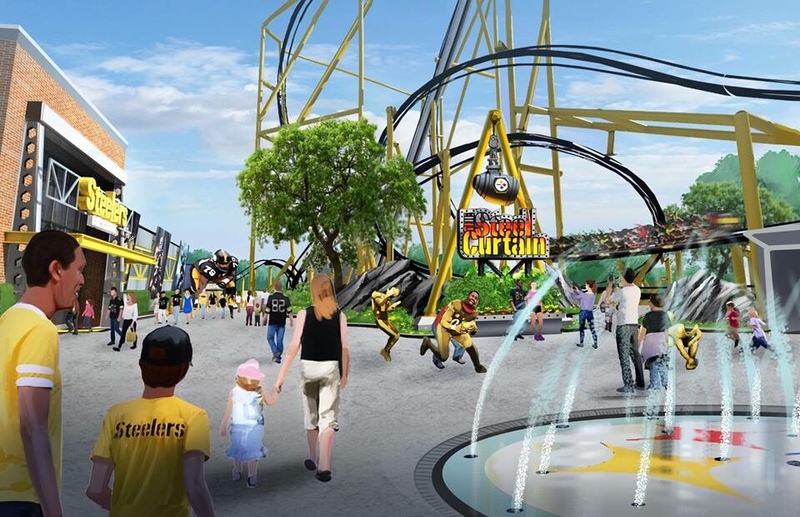 The new land will be an interactive experience, full of great exclusive merchandise and activities, but the centerpiece will be the record breaking new coaster-The Steel Curtain. The new coaster will be built by S&S Sansei Technologies and will feature three record breaking elements. The first being the tallest coaster in Pennsylvania, with a huge 220 feet tall. Next is the most inversions in the United States with nine moments where you’re turned head over heels. Finally, it will feature the tallest inversion in the world, as you flip at 197 feet. At the End Zone Cafe fans can dig into a variety of delicious game day related fare. Or, for a true fanatic experience, take the celebration outside! The Tailgate Patio recreates all the pregame excitement with a playful twist on traditional tailgate picnics, complete with visual references to the stadium site. 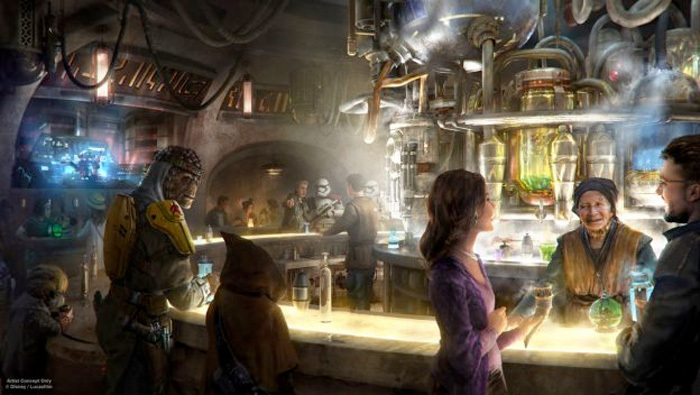 Kind of a neat idea and a great take on the traditional theme park restaurant. 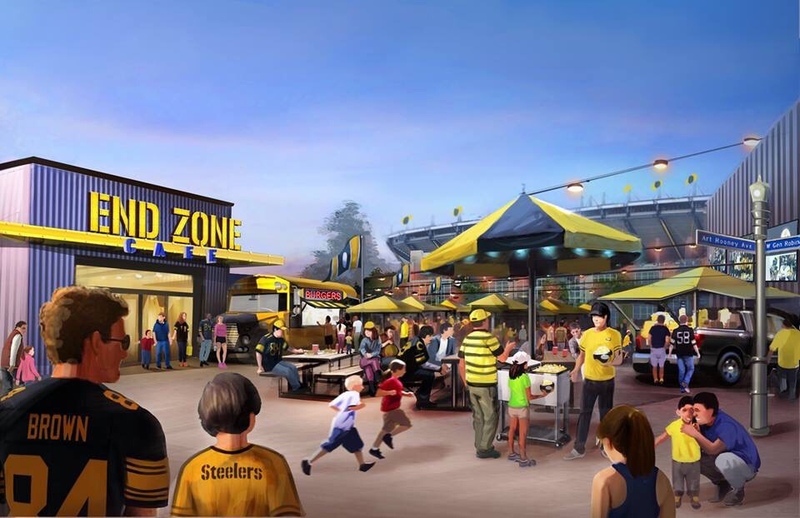 From coasters and eats to interactive experiences, Steeler Country will put fans in the heart of the NFL with The Steelers Experience. 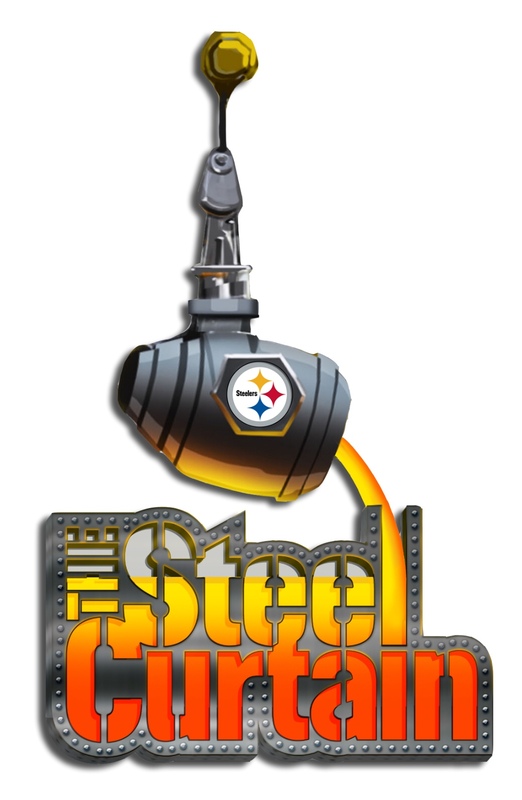 Steelers Country and the Iron Curtain will kick off in 2019, and will likely be kicking off with members of The Pittsburgh Steelers. Now if they can just win the Super Bowl in 2019 first. 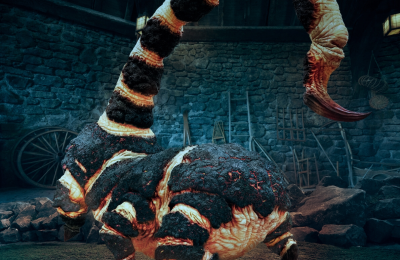 For more information about Kennywood, including tickets, visit the official website by clicking here!